Welcome to Day #6 of Chocolate and Raspberry Theme Week, and Day #1 of Chocolate and Peanuts Theme Week. 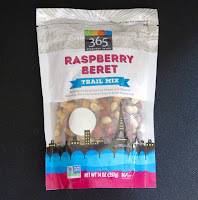 Today's Raspberry Beret Trail Mix was made in Canada and distributed by Whole Foods Market (Austin, TX). 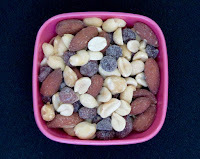 This sweet and salty snack/trail mix was full of crunchy roasted, salted peanuts and roasted almonds. 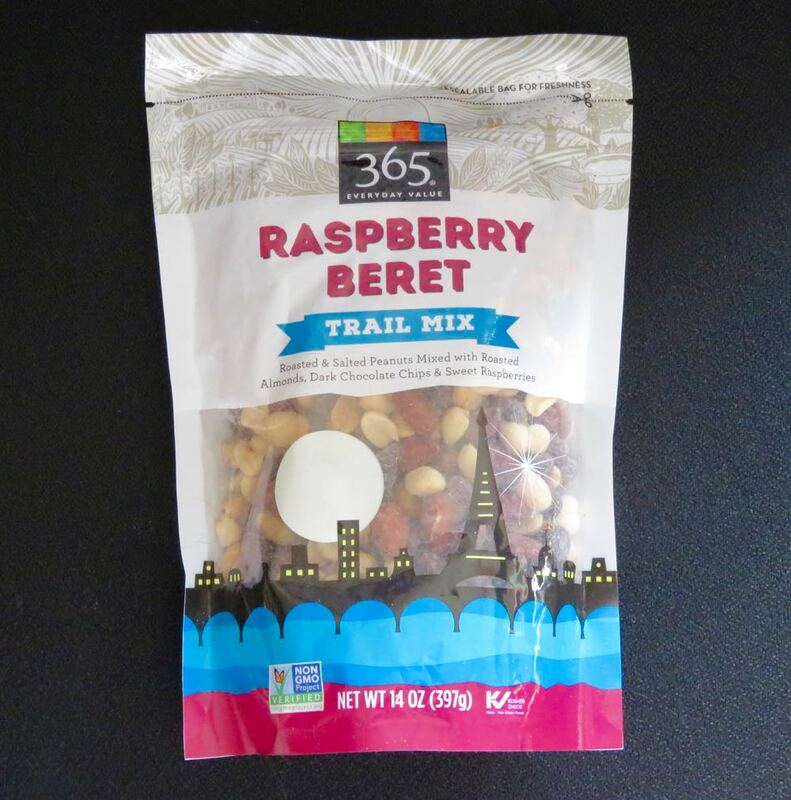 Organic dark chocolate chips—and raspberries (raspberries, sugar, rice flour, ascorbic acid)—provided a sweeter, darker, and softer taste and texture component, with the raspberries adding an occasional micro-burst of tart-sweet, natural berry flavor. For those with allergies, this mix contained peanuts, almonds, soy and milk. It did not contain gluten-containing ingredients but was made in a shared facility.